When the Woodland Park Zoo in Seattle asked Jack, the son of celebrity couple Chris Pratt and Anna Faris, to name their newest penguin, they probably didn't expect him to pick such a perfectly imaginative and inspirational name. That's right. The land of the free and the home of the brave now has a baby penguin named Eagle. As the youngster's mother explained, Eagle was chosen for a very sweet reason, too. 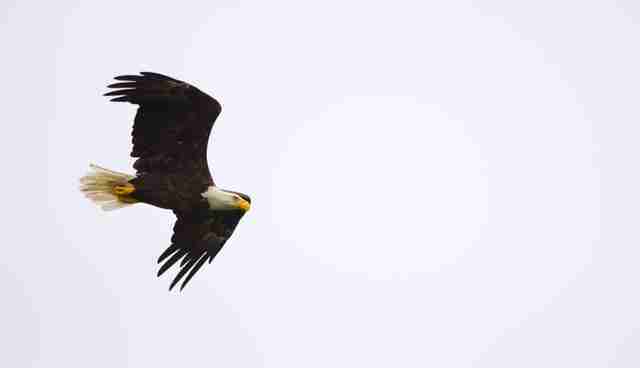 Faris and Pratt both grew up in Washington state, where the bald eagle population has multiplied over recent decades. "We thought that a penguin with aspirations to fly might be really fun," said Faris. The zoo better watch out. With a name like Eagle, that penguin might just start questioning his own limitations. With enough ambition, Eagle the penguin may be flying over the walls that hold him captive. It's happened before.